O+ and A+ are the most common blood types in Estonia – each representing about 30 percent of the population. The North Estonia Medical Centre’s Blood Centre shall recognise good donors in the capital and in Harju County at a recognition event for donors taking place at noon on 25 February in the House of Blackheads in Tallinn. Minister of Social Protection Kaia Iva, Chairman of the Board of the Medical Centre Agris Peedu, Clinical Director Dr. Andrus Remmelgas and Director of the Blood Centre Dr. Riin Kullaste will be at the recognition event to greet donors. Marek Sadam and Sadamasild will give a musical performance. The Blood Centre will also be giving out the Great Donor Cup to the local authority which has been best at promoting donorship. This year, the cup went to Hiiumaa rural municipality. Last year, there were a total of 31,734 donors in Estonia who gave blood on 55,057 occasions. The generosity of donors allowed 14,495 patients to receive blood component transfusions in Estonia last year. Half of those patients (7,611) received care in two of the biggest hospitals in Estonia: the North Estonia Medical Centre and Tartu University Hospital. 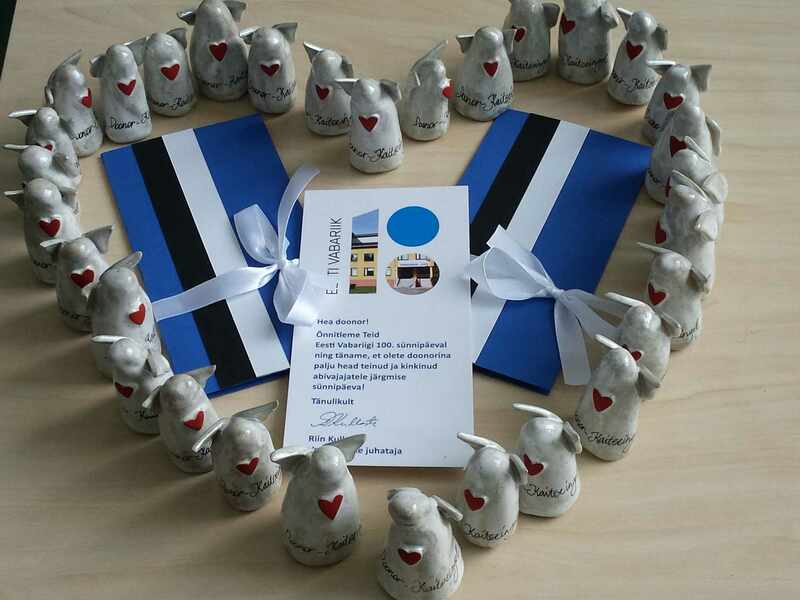 “A big thank-you to everyone promoting donorship and the employees of the Blood Centre, who work daily to ensure a sufficient blood supply.” And many thanks to the donors who help save dozens of lives in Estonia every day. To give blood is to save someone’s life. It’s an invaluable gift,” said Kaia Iva, the Minister of Social Protection. Every year, the event for the recognition of donors draws focus on different types of donors. On the 100th birthday of the Republic of Estonia, we have invited our most active donors who have given blood more than a 100 times as well as our most active and regular donors from all blood groups to attend the event. As is tradition, on the same day the Blood Centre will also give out the Great Donor Cup to the local authority which has been best at promoting donorship. This year, the cup will be awarded to Hiiumaa. Raili Rand, Rural Municipality Mayor of Hiiumaa, will attend the event to receive the prize. “Hiiumaa has actively promoted donorship for a long time. The Kärdla and Käina cultural centres have excellent conditions for our excursions. People in Hiiumaa are very helpful, have a great sense of humour and a big heart and always visit our Donor Days,” said Ülo Lomp, the Donorship Development Manager at the Blood Centre of the Medical Centre in regard to the selection. Last year, the Donor Cup went to the city of Kuressaare and other winners include Keila, Haapsalu, Narva, Paide, Rakvere and Rapla.